Children’s dreams, and how you, as a parent should relate to them. Children have a very vivid memory when it comes to dreams, and they are strongly influenced by their dreams. This blog post is about what we know about children’s dreams and how you as a parent should relate to the dreams of your kids. (Note: My next blog post deals specifically with nightmares in children and so-called “night terrors).” This post is generally about children’s and babies’ dreams, so if you’re looking for information about children’s nightmares and “night terrors” then enjoy the next blog post). Children’s dreams – what do we know? We dream since we are in our mother’s womb – in fact we dream more there than we do the rest of our lives. REM sleep accounts for 50% of a newborn’s sleep, 25% of our sleep when we are teenagers, and only 20% when we become “old” (above 60). The reason that babies spend much more time in REM sleep is seen as an expression of the maturation of the central nervous system (CNS). 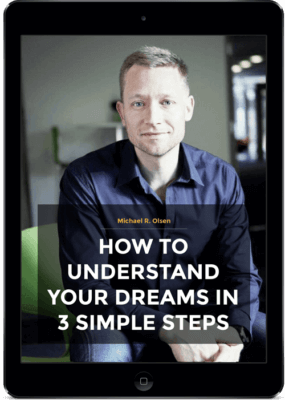 In other words, there is an enormous amount of pressure on the growth of our brain’s more advanced features, and therefore dreams act as a necessary part of the maturation process. Children can report about the content of their as soon as their language skills permit them to do so – and they do report their dreams (you would know this if you’ve talked to a 4-6 years old kid in the morning)! The key is then how the parent or grown up react to this – more on that below! The content of children’s dreams is also very different from adult dreams – quite naturally, I am tempted to say. For example, children’s dreams include a lot more animals than adults’ dreams, and children are typically more passive, being spectators, to what happens in their dreams (as opposed to being active and contributing to the action). 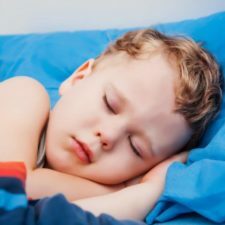 Most psychological dream researchers see this as a reflection of the child’s more instinct-driven behavior, as well as the child’s inability to actively relate to and understand what is happening around them. Even when children are between 6-10 years of age, it has been seen that girls are better at remembering their dreams than boys, and that girls have more “complex” social interactions in their dreams. The boys are often seen as victims in dreams, and also aggressive. I.e. – the dreams very early on reflect what we know about childrens real-life behaviour. It is generally known that at important transitions in children’s lives, such as when we begin in a nursery or start going to school, we dream of being persecuted, are enormously fearful etc. These are very clear pictures of how children actual feel while going through these transitions. With that said: there is more about nightmares in children in my next blog post. How do I as a parent relate to the dreams that my child has? And in the situation – to the child – it may seem like the right thing to do. I think it’s the wrong approach. First of all, your child’s dream is a clear reflection of exactly what is going on in your child right now, and by trying to understand the content of your child’s dreams, you can get a much better understanding of where the child is in his/her life right now, and what occupies it. Therefore, you can through your child’s dream also get a clear hint about whether your behavior as a parent is perceived appropriate or inappropriate for your child. For example, some children may dream that “dad drives too fast” or that mother is “in Africa” – some pictures of how the father is too busy and has too little time for the child and how the mother might constantly be “away”. As mentioned earlier, the child may at key transitions (e.g. start in kindergarten/school), have many fearful nightmares – quite naturally in that situation, and therefore these dreams illustrate how your child feels. It is to me disastrous if you reject the dream as being “just a dream” – the child perceives it as if you simply do not understand how it feels, and feels left on his/her own. Instead, ask about it and try to understand the dream’s content. Most importantly, you teach your child – by not showing an interest their dreams – not to take his/her dreams seriously. And it’s a great shame if you prevent your child from having a meaningful contact with his/her inner life. Finally, how do you feel about your own dreams? They are also illustrations of how you tackle important life transitions, changing jobs, etc. Illustratations of what is really going on inside you. Unfortunately, many of us do not remember our dreams, and do not take them seriously. Maybe because we as children have learned from our parents that this is how we should relate to them.